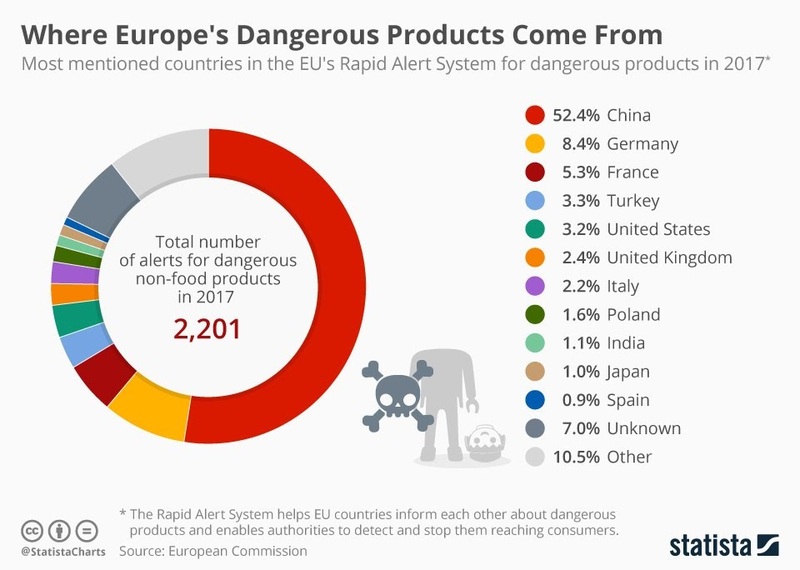 Where Europe's Dangerous Products Come From #Infographic ~ Visualistan '+g+"
The EU has an effective system in place to help keep consumers safe from dangerous products. Every day, product safety specialists, stakeholders, manufacturers, border officials and scientists from across the EU as well as in Iceland, Norway and Liechtenstein, share information to track down defective or dangerous products and remove them from the market. 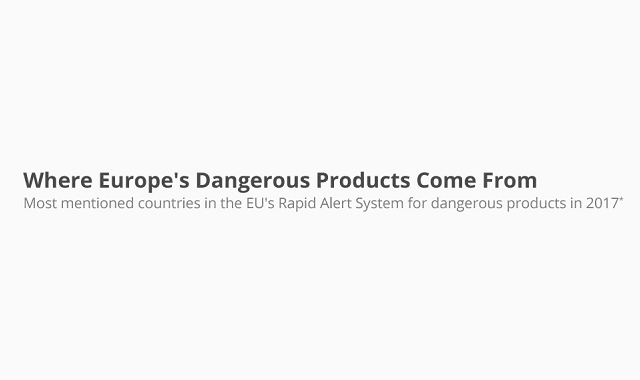 It is called the Rapid Alert System and last year, there were 2,201 alerts for dangerous non-food products, according to the European Commission. They were followed by 4,000 actions by authorities in other countries who helped take measures to stop the dangerous products from reaching consumers.